❝ There’s a layer of 300 million-year-old rock under Interstate 95 that’s capable of killing the lights from Washington to Boston and beyond the next time the sun erupts in all its fury. 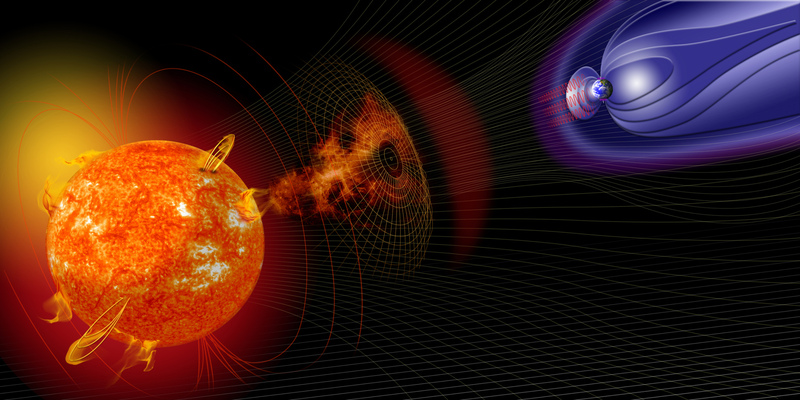 …A solar storm is now viewed as enough of a risk in fact that grid operators across North America are working on plans to respond to just such a disturbance. And a draft of a soon-to-be-published U.S. Geological Survey report pinpoints the Eastern Seaboard as one of the areas most in danger. Through a stroke of bad luck, the worst of these rocks basically traces the path of I-95 from Richmond, Virginia, to Portland, Maine, passing through Washington, New York and Boston along the way. Yet another reason I should be happy about leaving the Northeast for the Southwest. Though there’s an extinct volcano across the valley that could be pretty scary under the wrong conditions. Also “The solar storm of 2012 that almost sent us back to a post-apocalyptic Stone Age” https://www.extremetech.com/extreme/186805-the-solar-storm-of-2012-that-almost-sent-us-back-to-a-post-apocalyptic-stone-age …on July 23, 2012, the sun “kicked out one of the largest solar flares and coronal mass ejections ever recorded. And it missed Earth by a whisker. “If it had hit, we would still be picking up the pieces,” says Daniel Baker, who led the research into the massive solar storm.